1) Bring your business cards. Seems like a no-brainer, but you’d be surprised how many people forget this essential networking tool. Bring a good supply of business cards, and be sure to keep them handy for exchanging with all the new contacts you’ll make during your networking breaks. 2) Be sure to introduce yourself. Ever have that feeling, “Boy I should know who I’m talking to because I’ve met them before, but I can’t recall their name!” Save your conversational partners from that embarrassing situation. “Good to see you again, Joe, I’m Jane Doe with The Best Consultant Ever,” is a good way to start off the conversation. Even if you have met someone on a few occasions this is still a helpful technique as some folks are better with faces than names. 3) Make eye contact. While you are having a conversation, be sure to look at the person you are chatting with. Nothing feels worse than having the person you are speaking to scan the crowd for the next person they want to speak with. It sends the message that your current conversation is not important. If you spot someone across the room you’d like to be sure to speak with, politely close your current conversation or invite your partner to join you. 4) Stand out. It happens to all of us, we get back to the office and pull out that stack of business cards from all the people we just met and it can be hard to put a face with each of those names. While the conversation is still fresh in your mind, do yourself a favor and make a brief note on the back of the card to remind yourself of any tidbit of information that will help you the next time you meet that individual. 5) Follow up. Whether you’ve made a new contact or renewed an acquaintance, follow up your in-person interaction with an e-mail tailored to your contact. Pass along an informative news article, set a date for coffee or put them in touch with another member of your broadening network. Whatever you choose, make it personal and show that while you were talking with them you were listening to what they had to say. More than 800 transportation and business leaders will convene at the Disneyland Hotel tomorrow for Mobility 21’s 11th annual Southern California Transportation Summit. The Summit includes a program of high-caliber speakers and thought-provoking breakout sessions. Participants will come away with a clear call to action — we all have to work together to improve transportation in Southern California. “With a record-breaking 90 sponsors of the Summit this year, I want to thank Southern California’s businesses and organizations for coming together to support our mission of bringing transportation investment to Southern California,” said Marnie O’Brien Primmer, Executive Director of Mobility 21. Although online registration for the Summit is closed, registration will be available at the Disneyland Hotel for an additional $25 walk-in fee. This month, Mobility 21 spoke with Summit morning keynote speaker Barry B. LePatner, author of “Too Big to Fall: America’s Failing Infrastructure and the Way Forward,” and luncheon keynote speaker Jonathon Tisch, Chair of Loews Hotels and Co-Owner of the New York Giants, to hear more about their perspectives on transportation investment. M21: What are some of the challenges the U.S. faces in maintaining a strong infrastructure system? BL: For decades, through projects like the Erie Canal, the Transcontinental Railroad and the Interstate Highway System, our nation built boldly, then built and invested even more. But today much of this infrastructure has aged into disrepair. And with decimated budgets, our leaders are reluctant to take significant action to bring it back up to the nation’s once high standard. The current system for overseeing the distribution of federal aid for state highway projects through the Federal Highway Administration is broken. After federal funds are distributed to the states, they are not required to spend the money on infrastructure repairs. They can, and do, allocate more than half of that money to other projects. Over the years, politicians have used these funds to build new projects, reward campaign contributors and enable photo opps. But despite a lack of political will, U.S. bridges can be repaired without impacting the deficit. For example, repairing the top 2,000 bridges on the SaveOurBridges.com website which reveals nearly 8,000 bridges that are most perilous and in danger of collapse, would cost an estimated $30-60 billion and would employ 1.2 million construction workers for two years. These workers, many of whom would be coming off of unemployment, would pay back 30 percent of their money earned in income taxes, and much of the rest would be pumped back into the economy through their consumer spending. M21: What role can the public and members of Mobility 21 play in improving our infrastructure system? BL: It is becoming increasingly clear that only a “grass roots” demand from outraged citizens who realize how dangerous this situation has become will push our nation’s leaders to vote for funding before future tragedies occur. In fact, one reason I created www.SaveOurBridges.com was to provide the public with a source showing the dangerous bridges in their communities. My hope is that concerned citizens can use the information provided on the site to back up their calls for action when they approach their local officials. With the help of this website, the public can contact their local, state and federal officials in this election year and demand the needed financing for remediating local infrastructure. 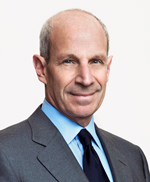 M21: What makes the co-owner of the New York Giants so passionate about infrastructure investment? JT: That’s a good question. The NFL strives to deliver a first-class experience for its fans. That’s why a few years ago we decided to undertake a major infrastructure project – the construction of MetLife Stadium, the most expensive stadium ever built, which opened in 2010. And while a team’s venue is front and center, every NFL owner is acutely aware that a fan’s game experience begins the moment they leave their front door and ends when they return home safely. Every owner wants to minimize the hassles of traveling to and from the stadium to maximize the number of fans who will come to cheer on the team. Fighting gridlock traffic to and from the game will keep more fans at home. But my passion for infrastructure goes far beyond my involvement with the Giants. As chairman of Loews Hotels, I know that our success depends upon getting visitors to and from our properties. The travel industry is on the verge of its greatest boom with more than 1 billion people expected to travel abroad in 2012. Many travelers will be coming to the United States from places like Brazil and China. To successfully compete in this global marketplace, the United States must invest in infrastructure to remove many of today’s travel barriers while at the same time being able to accommodate the growing numbers of visitors. I believe this should be a prime focus of the entire travel industry. There is so much at stake for jobs and the economy over the long run that all of us need to come together to make this happen. M21: With dwindling federal and state resources, what are some examples of successful public-private partnerships that Southern California can learn from? JT: One example is happening right now in my hometown. In 2011, the Port Authority of New York and New Jersey — which owns New York City’s three major airports — had to delay plans to rebuild LaGuardia’s aging central terminal because of budget constraints. When that terminal opened — during the Kennedy Administration — it was designed to handle 8 million travelers, but now handles 24 million travelers annually. After trying the traditional route to secure the necessary $3.6 billion in financing, the Port Authority put out a call for alternative financing solutions. To the surprise of many, 15 bidders lined up — with innovative, cost-effective proposals from private investors, construction firms, concession developers and other private companies. Inadvertently, the Port Authority discovered a key to addressing America’s infrastructure needs — an ocean of untapped private capital and innovative plans to deploy it. This is all still in-process, but it highlights the private money that’s currently sitting on the sidelines. One study released in 2012 estimated at least $250 billion in private capital is available for infrastructure investments — including funds from private equity firms, investment banks and pension funds. Through public-private partnerships, these resources could be leveraged to a very promising $625 billion. That can make a huge difference. 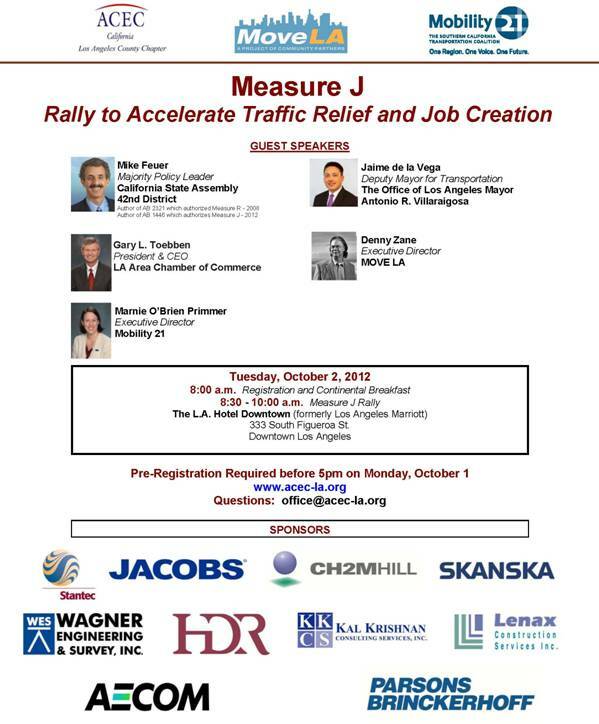 Mobility 21, together with ACEC Los Angeles and Move LA, will cohost a rally for Measure J on Tuesday, Oct. 2 in downtown Los Angeles. Measure J, which will be on Los Angeles County’s ballot this November, will extend the 30-year Measure R sales tax by another 30 years (to 2069) in order to accelerate the construction of 7 transit and up to 8 highway projects over the next decade. Click here to view the event flyer. Register by Oct. 1 at www.acec-la.org. In preparation for the demolition of the north side of the Mulholland Drive Bridge, Metro and Caltrans are encouraging motorists to “Plan Ahead, Avoid the Area, or Eat, Shop and Play Locally” to avoid the full closure of the San Diego Freeway (I-405) through the Sepulveda Pass. Are you ready for the full closure of the I-405 in Los Angeles County this weekend? The second 10-mile closure of both directions of the I-405 over the Sepulveda Pass is scheduled for Sept. 29-30. Dubbed “Carmageddon,” the half a million motorists who typically drive this portion of the I-405 every weekend are encouraged to avoid the area during the closure. 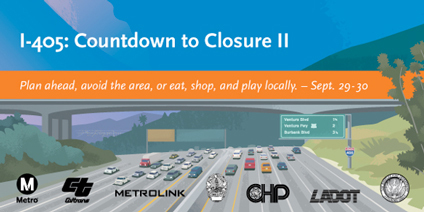 With closures beginning as early as 7 p.m. Friday, Sept. 28, be sure to check out Mobility 21’s website for project information and live updates from the I-405 Twitter feed. This month, the California High-Speed Rail Authority (CHSRA) hired Mobility 21 Advisory Board Member Michelle Boehm as its Southern California Regional Director. Boehm has a proven record of managing transportation planning and project development activities in Southern California. She is currently the Regional Business Vice President for Transportation for CH2M Hill where she is responsible for overseeing business development and community outreach for Southern California. Prior to that Boehm served at the engineering firm URS and was responsible for small business outreach and strategy development for transportation along with other engineering practices. Boehm is a board member of both the Los Angeles and Orange County Chapters of the Women’s Transportation Seminar (WTS). The San Diego Trolley Green Line extension is part of the $720-million Trolley Renewal project funded partially by TransNet, a regional half-cent sales tax for transportation administered by the San Diego Association of Governments. 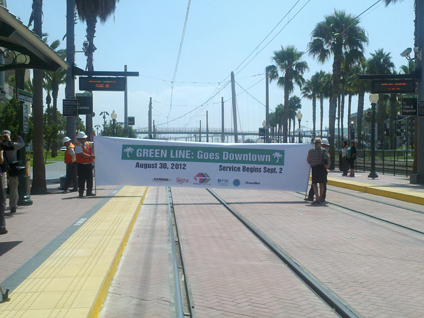 The San Diego Association of Governments (SANDAG) and the Metropolitan Transit System (MTS) reached a milestone Sept. 2 with the extension of San Diego Trolley’s Green Line. The $720-million Trolley Renewal project will run through Downtown San Diego past the Convention Center and Petco Park all the way to the 12th and Imperial Transit Center. The Trolley Renewal project started in fall 2010 and is scheduled to be complete in 2015. The project will bring 65 sleek, low-floor trolley cars to the region, improving access for all riders. The new vehicles provide nearly level boarding, so time-consuming mechanical lifts will no longer be needed. The system-wide overhaul also includes raising 35 station platforms to accommodate the low-floor vehicles, replacing outdated rail and overhead wires, and improving street crossings, switching and signaling. In addition, the project will expand freight capacity between Downtown San Diego and the border area. Orange County Transportation Authority and Anaheim officials broke ground this month on the Anaheim Regional Transportation Intermodal Center transportation hub that will connect people seamlessly between different transit services. Orange County Transportation Authority (OCTA) leaders joined the Anaheim City Council this month to break ground on the Anaheim Regional Transportation Intermodal Center (ARTIC), a transportation hub scheduled to open in late 2014. The landmark $184-million transportation facility will allow people to seamlessly move between transit services, providing commuters from Los Angeles, Riverside, San Bernardino and San Diego counties efficient access to Southern California activity centers and business districts. Planners designed the transportation facility to accommodate existing Metrolink, Amtrak, OCTA bus, Anaheim Resort Transit, shuttles, taxis and other bus services as well as the proposed high-speed rail and the Anaheim Rapid Connection transit projects. Located within walking distance of the Honda Center, Angel Stadium of Anaheim and City National Grove of Anaheim, the ARTIC site also will provide transit service to visitors to the major entertainment venues in Anaheim’s Platinum Triangle. The Metrolink Board of Directors voted unanimously this month to appoint Michael P. DePallo, a veteran transit leader with over 30 years of experience, as CEO. DePallo currently serves as Director and General Manager for the Port Authority Trans Hudson Corporation (PATH), a heavy rail subsidiary of the Port Authority of New York and New Jersey that transports over 250,000 passenger trips a day between Manhattan and neighboring New Jersey. “After a thorough national search, I am confident Michael is the right person to lead Metrolink as it continues to build on progress made in recent years. He has a proven record on safety, leadership and has recently overseen his agency’s efforts to modernize their fleet of railcars,” said Metrolink Board Chair Richard Katz. DePallo led PATH to record ridership in 2011 after it plummeted in the wake of the Sept. 11, 2001 terrorist attacks. 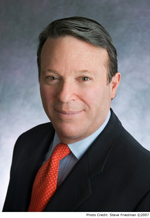 He chairs the Security Affairs Steering Committee for the American Public Transportation Association (APTA). Prior to PATH, DePallo held leadership positions at many of the largest passenger rail operations in the nation, such as Oakland’s Bay Area Rapid Transit District, Southeastern Pennsylvania Transportation Authority in Philadelphia and Massachusetts Bay Transportation Authority in Boston. DePallo will join the Mobility 21 Board of Directors when he begins his role as Metrolink CEO on Oct. 15. Metro ExpressLanes, an innovative project to reduce traffic congestion, will debut Los Angeles County’s first High Occupancy Toll (HOT) lanes on Saturday, Nov. 10, opening 11 miles of carpool lanes on the Harbor Freeway (I-110) to solo drivers who pay an electronic toll. Only solo drivers using the ExpressLanes will be charged a toll. Carpools, vanpools, buses and motorcycles will be able to travel toll-free in the I-110 Metro ExpressLanes, which will be located between Adams Boulevard and the 91 freeway. But all motorists will need a FasTrak® account and transponder to travel in the 110 Metro ExpressLanes when tolling begins on Nov. 10. “The opening of the Metro ExpressLanes demonstration project on the 110 will provide a unique opportunity to explore and evaluate a new transportation option that could potentially create faster commutes, greater capacity and better air quality throughout the region,” said LA County Supervisor and Metro Board Chair Michael D. Antonovich. Metro ExpressLanes is a one-year demonstration project overseen by Metro, the California Department of Transportation (Caltrans) and several other mobility partners to enhance travel options and ease congestion on two of the region’s busiest freeways. The project converts 11 miles of High Occupancy Vehicle (HOV) lanes on the I-110 and 14 miles of HOV lanes on the I-10 San Bernardino Freeway (between Alameda Street and the 605) to HOT lanes that allow solo drivers to use the carpool lanes by paying a toll. The I-110 ExpressLanes are the first to open, and the I-10 San Bernardino Freeway ExpressLanes will open early next year. Transponders are available for purchase at Metro customer centers and all Automobile Club of Southern California branches. Transit riders will also benefit from the ExpressLanes project. It is adding 59 more clean fuel buses and 100 vanpools to the routes. The project also has expanded and updated transit facilities and improved downtown parking. Career development and awards and recognition. Since it’s founding in 1988, the CTF Career Development Program has supported career days, technical scholastic competitions, mentoring opportunities and conference attendance. CTF also supports programs which encourage K – 12 students to develop interests in technical subjects that will lead them into transportation-related careers and also college undergraduates to achieve degrees that equip them for professional transportation-related positions. While CTF has expanded into a wide array of services to California’s transportation community, one of the original reasons for the organization’s creation remains its most fundamental — providing a readymade fiscal entity to collect and disburse worker assistance and memorial funds. In the first six months of 2011 three Caltrans workers were killed on the job, and CTF was there to lend a hand. Click here to learn more about CTF. Civic Resource Group (CRG), a leading E-government/Gov 2.0 strategy and development firm, is proud to sponsor the 2012 Mobility 21 Summit. CRG works with a wide range of public sector organizations to lead their digital transformation, and one of the most dynamic and exciting areas of change in the public sector is transportation and regional mobility. A wide range of new technologies and innovative digital strategies are being implemented in the transportation sector resulting in direct benefits for the traveling public, as well as for the municipal governments, businesses and organizations in a given region. CRG has been working with large regional agencies such as the Los Angeles County Metropolitan Transportation Authority (Metro), the Southern California Association of Governments (SCAG) and the Bay Area Metropolitan Transportation Commission (MTC) to plan and implement integrated digital strategies, programs and platforms that will change the way these agencies deliver transportation information and services, engage the public and ultimately change the behavior of travelers. 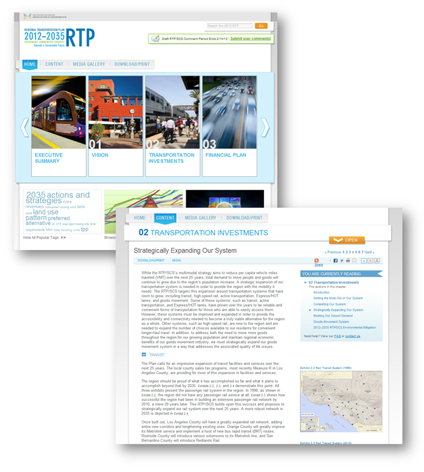 The ExperienceLA.com tourism and transit web portal, for example, is an award winning web platform sponsored by a coalition of public agencies led by LA Metro and the County of LA. ExperienceLA provides access to integrated public transit and cultural tourism information in Los Angeles County through a true digital “ecosystem” consisting of the web portal, multiple microsites, mobile applications, data feeds, and regional WiFi hotspots. The model was recently funded by the Andrew Mellon Foundation for expansion throughout Southern California (ExperienceSoCal) as a national pilot project for similar regional rollouts. In the Bay Area, CRG is developing a new long term digital strategy for MTC’s regional 511 Traveler Information program. The goal is to transition virtually all 511 information and services to a new integrated digital platform creating a true interactive multi-modal information system. Much of the success for the project revolves around preparing the vast amounts of data and information to be easily delivered and consumed in various digital formats. This “open data” planning and development work is one of the key areas in which CRG specializes. LA Metro, for example, was able to launch the new GeoSocial Interactive Mapping system which was designed and developed by CRG, primarily because the agency had started to prepare and open up many of its key data assets over the past few years. This data groundwork provides the fuel for the GeoSocial Interactive Map, which is currently being used for public engagement on a number of Metro’s large transportation planning projects, and is being piloted for other communications and information uses by Metro. This dynamic platform represents the future of public engagement and communications in the new digital world. To learn more about what Civic Resource Group can do to help guide digital transformation, go to www.CivicResource.com. While I’m proud that Skanska is working on the EXPO light rail line extension to Santa Monica, as a long-time Los Angeles County resident, I’m excited for what the project says about our region. We’re getting close to the day when we don’t have to dread the drive to our favorite beach, the big game or visit our friends. The thought of light rail cars speeding by the backup on the 10 freeway – or even helping to alleviate the backup – is alluring. We’ll never shed our car culture, but as an Angeleno, I like that Southern California is adopting a culture that looks at the best solutions for new transportation infrastructure. Design-build and other alternative delivery methods will help us add roads and rail more efficiently than ever – in more functional ways than ever. Public-private partnerships, like what my colleagues in Virginia have started, could even help us tackle our state’s budget crunch. More than anything, what will help our region thrive into the future is the focus on completing all of these projects with local labor and contracting firms. Our community outreach team is helping build a network for the entire contracting community to draw from. The right projects, built by the right people is what will lead to long-term prosperity right here. Founded in 1989, MBI has been embedded in the transportation industry from day one. 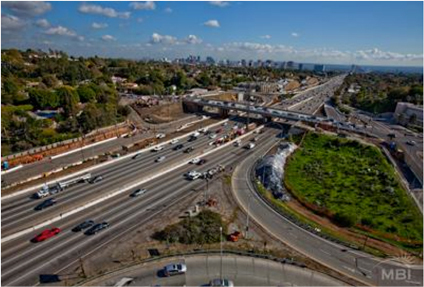 Throughout decades of experience, MBI has worked on some of the largest transportation projects in Southern California. MBI was born out of rail 23 years ago, when its first client, the Atchison, Topeka and Santa Fe Railroad (now BNSF), hired MBI to create high-quality training videos. MBI was a new company, but leapt right in, walking the rails with tough railroad engineers and experienced mechanics. MBI developed safety-training certification programs for their West Coast Mechanical Division, which consisted of a 10-part video series, training booklets, PowerPoint presentations and collateral material. MBI became an expert in rail and has flourished ever since. MBI has expanded tremendously over the past two decades and today the company provides three distinct services: community outreach, construction support and corporate marketing. They are fully integrated and designed to provide a comprehensive and consistent pathway throughout the life of a major infrastructure project. All are supported and enhanced by MBI’s in-house creative studios staffed with design and visual experts. Over the years MBI has been involved in highly contentious transportation projects and we has learned how to take complex information and create visual presentations and facilitate community meetings that help educate the audience and move the project along.